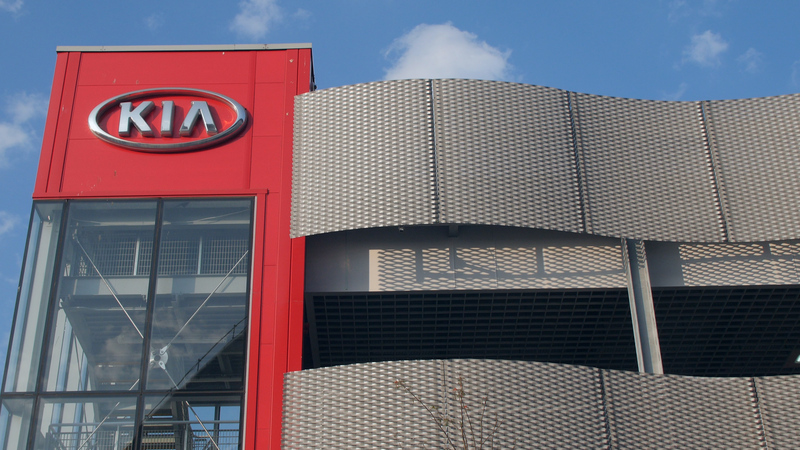 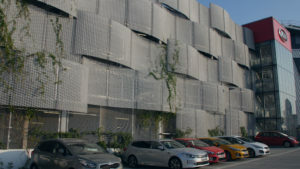 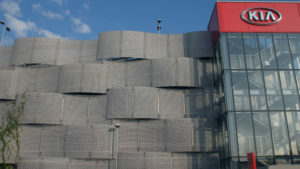 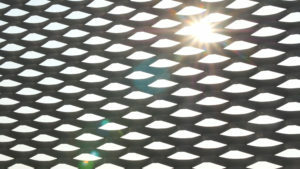 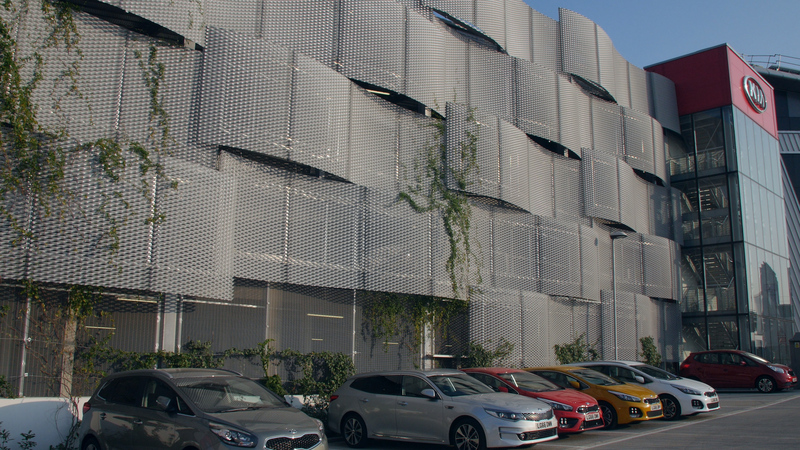 Curved structures used to produce a unique and long lasting feature decorative mesh facade at the new flagship Kia Motor dealership in London. 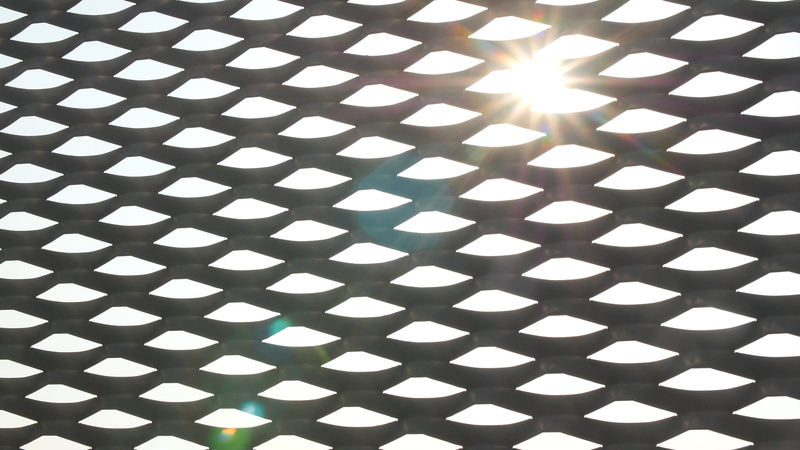 The Kew Expanded Mesh was manufactured and cleverly curved to pin point accuracy to fit onto our own curved aluminium support structure. 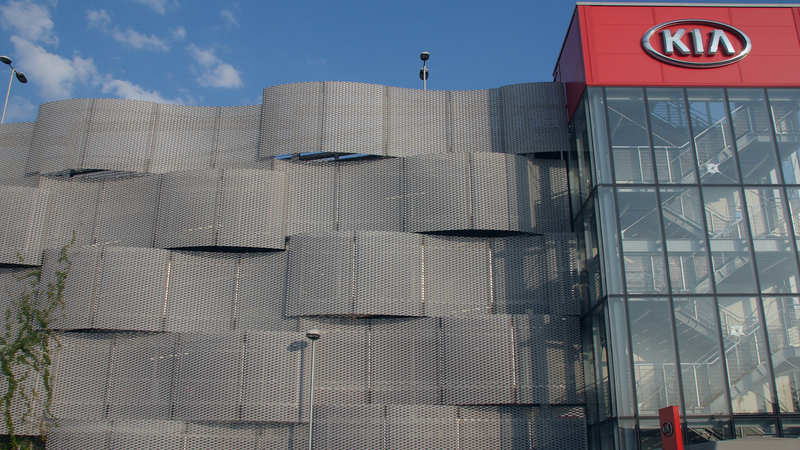 Engineering principles had to be re-written to deliver an amazing facade.